At an impressive 13" tall, our XXL Football Trophy certainly stands out! 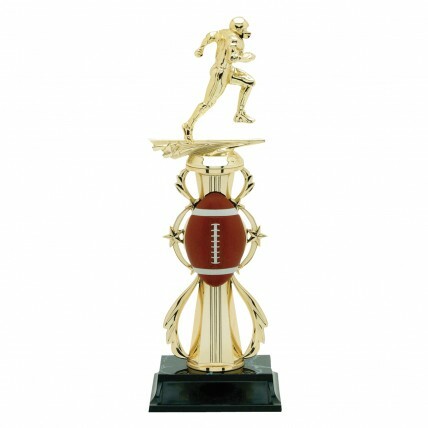 With a colored football inset and a charging player atop an ornate golden column, this trophy will tower above the rest! This football trophy includes an engraved brass plate with double-stick tape on the back for the customer to attach. An impressive winner deserves nothing shorter than this tall and handsome football trophy.